Excellent way to encourage good behaviour. Comes with 18 suggested activities and 6 blank to write your own special activities. Boxes are numbered so stars can be earned over a week or any period of time. Can be hung up by cord, or stood on a shelf. 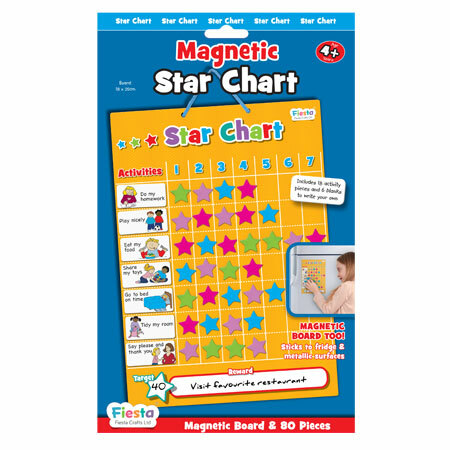 Lots of different coloured magnetic stars stored inside the chart. Reward Charts are a tried and tested method of encouraging good behaviour and habits as children earn rewards for good behaviour. Portable so children can follow wherever they are.